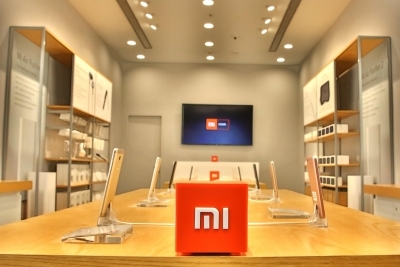 New Delhi, July 27 (IANS) Xiaomi toppled Samsung in the best-seller slot for smartphone models in the under Rs 10,000 segment in the second quarter of 2017, market research firm Counterpoint Research said on Thursday. The top two positions were grabbed by Xiaomi Redmi Note 4 with 7.2 per cent and Redmi 4 with 4.5 per cent market share, followed by Samsung Galaxy J2 at 4.3 per cent. “Xiaomi’s comeback can be attributed to strong demand for its sub-10K portfolio, making the Redmi Note 4 the top-selling model in the first half of 2017,” said Tarun Pathak, Associate Director, Counterpoint Research, in a statement. “This is the first time any brand has been able to topple Samsung which has held the best-seller slot for its models over the last four years due to its enormous reach and scale,” he added. However, Samsung retained its top position in the overall handset shipment in both feature-phone and smartphone categories, with 25.4 per cent and 24.1 per cent market share, respectively. According to Counterpoint, the 4G handsets base in India crossed 150 million units in the second quarter, only behind China and the US and is estimated to surpass the US in one year. LTE-capable smartphones contributed to 96 per cent of smartphone shipments with Xiaomi, Vivo, Oppo and Gionee being the fastest-growing brands in the country. The stronghold of the feature-phone segment is estimated to further strengthen with the announcement of LTE-based “Jio Phone” by Reliance, which will slow down the conversion rate from feature-phones to smartphones. In terms of performance, smartphone shipments grew by a modest four per cent Year-on-Year (YoY) with the top five brands contributing to almost 70 per cent of the total smartphone market, leaving local brands behind in the third successive quarter. “Local brands did relatively well during the quarter after three quarters of lull but still have a significant task cut out to reclaim the market share back from rivals,” noted Karn Chauhan, Research Analyst, Counterpoint Research.